Showing results for tags 'additions actives'. Suggestion format: Addition of new trailers for the car (Skouda) existing in the game ETS 2. Suggestion Name: New trailers and loads. Description of suggestion: It consists of new trailers and their respective loads. Being the types of new types of trailers and loads. It establishes a greater realism between the type of trailer / cargo, between its points of origin and destination. Adds the need to sleep 01 mandatory, in proper resting area, while carrying tourist trailer load. This will make it more appealing to players who want to make loads with cars. This will allow a minimum rate of occupancy of the rest areas on the map. Allowing for greater sense of vehicle realism. New trailers and loads, suggestion: 1. horse trailer. Product: Horses Origin: Farms. Destination: Farms Farms horses: Aria, Fattoria Felice, Nos Pâturages. ---- Farms Aria ---- Farms - Aria (units): Aalborg, Esbjerg, Jönköping, Trelleborg a) Aalborg - Aria - Products (horses races): Frederiksborg, Jutland , Schleswig Coldblood, Danish Warmblood. Destination (horse races): - Denmark - Esbjerg - Aria - Products ( horses races): Frederiksborg, Jutland , Schleswig Coldblood, Danish Warmblood. - Europe - Trellenborg - Aria - Product (horse race): Danish Warmblood. Jönköping - Aria - Product (horse race): Danish Warmblood. Napoli - Fattoria Felice Product (horse race): Danish Warmblood. Rome - Fattoria Felice Product (horse race): Danish Warmblood. Bourges - Nos Pâturages Product (horse race): Danish Warmblood. Clermont-Ferrand - Nos Pâturages Product (horse race): Danish Warmblood. Le Havre - Nos Pâturages Product (horse race): Danish Warmblood. b). Esbjerg - Aria - Products ( horses races): Danish Warmblood, Knabstrupper , Danish Sport Pony. Destinatiosns (horses races): - Denmark - Aalborg- Aria - Product (horse race): Danish Sport Pony. - Europe - Farms destinations: Fattoria Felice , Nos Pâsturages, Aria. Trellenborg - Aria - Product (horse race): Danish Warmblood, Knabstrupper. Jönköping - Aria - Product (horse race): Danish Warmblood, Knabstrupper. Napoli - Fattoria Felice Product (horse race): Danish Warmblood, Knabstrupper. Rome - Fattoria Felice Product (horse race): Danish Warmblood, Knabstrupper. Bourges - Nos Pâturages Product (horse race): Danish Warmblood, Knabstrupper. Clermont-Ferrand - Nos Pâturages Product (horse race): Danish Warmblood, Knabstrupper. Le Havre - Nos Pâturages Product (horse race): Danish Warmblood, Knabstrupper. c) Jönköping - Aria - Product (horse races): Gotland Pony, Swedish Ardennes, North Swedish Horse, Coldblood Trotter, Swedish Warmblood. - Sweden - Trellenborg - Aria. Products (races horses): Gotland Pony, Swedish Ardennes, North Swedish Horse, Coldblood Trotter, Swedish Warmblood - Europe - Aalborg - Aria Products (races horses): Swedish Warmblood. Esbjerg - Aria Products (races horses): Swedish Warmblood. Napoli - Fattoria Felice Product (horse race): Coldblood Trotter. Rome - Fattoria Felice Product (horse race): Coldblood Trotter. Bourges - Nos Pâturages Product (horse race): Clermont-Ferrand - Nos Pâturages Product (horse race): Swedish Warmblood Le Havre - Nos Pâturages Product (horse race): Swedish Warmblood d) Trelleborg - Aria - Product (horse races): Swedish Warmblood, Coldblood Trotter, Gotland Pony, Swedish Ardennes, North Swedish Horse. Destinations horses: - Sweden - Jönköping - Aria - Product (horse race): Coldblood Trotter, Swedish Warmblood, Gotland Pony, Swedish Ardennes, North Swedish Horse. - Europe - Farms destinations: Aria, Fattoria Felice, Nos Pâsturages. Aalborg - Aria Products (races horses): Coldblood Trotter Esbjerg - Aria Products (races horses): Coldblood Trotter. Napoli - Fattoria Felice Product (horse race): Swedish Warmblood, Coldblood Trotter. Rome - Fattoria Felice Product (horse race): Swedish Warmblood, Coldblood Trotter. Bourges - Nos Pâturages Product (horse race): Swedish Warmblood. Clermont-Ferrand - Nos Pâturages Product (horse race): Swedish Warmblood. Le Havre - Nos Pâturages Product (horse race): Swedish Warmblood. ------ Farms Nos Pâturages ----- e) Le Havre - Nos Pâturages Product (horse race): Anglo- Norman, Boulonnais, French Saddle Pony, French Trotter, Selle Français (SF). Destinations (horse races): - France - Bourges - Nos Pâturages Products (horse races): Anglo-Norman, Boulonnais, French Saddle Pony Clermont-Ferrand - Nos Pâturages Products (horse races): French Saddle Pony, Selle Français. - Europe - Destinations (horse race): Aalborg - Aria Products (races horses): Selle Français (SF), French Trotter. Esbjerg - Aria Products (races horses): Selle Français (SF) Jönköping - Aria - Product (horse race): Selle Français (SF) Trellenborg - Aria - Product (horse races): Selle Français (SF), French Trotter. Rome - Fattoria Felice Product (horse race): Selle Français (SF), French Trotter. Napoli - Fattoria Felice Product (horse race): Selle Français (SF), French Trotter. f) Clemount-Ferrand - Nos Pâturages Product (horse race): Nivernais, Selle Français (SF) Destinations (horse race): --- France --- Bourges - Nos Pâturages Product (horse race): Nivernais, Selle Français (SF) Le Havre - Nos Pâturages Product (horse race): Selle Français (SF) - Europe - Destinations (horse race): Aalborg - Aria - Product (horse races): Selle Français (SF) Esbjerg - Aria Products (races horses): Selle Français (SF) Jönköping - Aria - Product (horse race): Trellenborg - Aria - Product (horse races): Selle Français (SF) Rome - Fattoria Felice Product (horse race): Selle Français (SF) Napoli - Fattoria Felice Product (horse race): Selle Français (SF) g) Bourges - Nos Pâturages Product (horse race): Nivernais, Selle Français (SF) Destinations (horse race): --- France --- Clemount-Ferrand - Nos Pâturages Product (horse race): Nivernais, Selle France Le Havre - Nos Pâturages Product (horse race): Selle Français (SF) - Europe - Aalborg - Aria - Product (horse races): Selle Français (SF) Esbjerg - Aria Products (races horses): Selle Français (SF) Jönköping - Aria - Product (horse race): Selle Français (SF) Trellenborg - Aria - Product (horse races): Selle Français (SF) Rome - Fattoria Felice Product (horse race): Selle Français (SF) Napoli - Fattoria Felice Product (horse race): Selle Français (SF) - Farms Fattoria Felice -- h) Napoli - Fattoria Felice Product (horse race): Napolitan, Persano, Salernitano, Italian Trotter, Sella Italiano. Destinations: - Italy - Rome - Fattoria Felice Product (horse race): Napolitan, Persano, Salernitano, Italian Trotter, Sella Italiano. - Europe - Aalborg - Aria - Product (horse races): Sella Italiano Esbjerg - Aria Products (races horses): Sella Italiano, Italian Trotter. Jönköping - Aria - Product (horse race): Sella Italiano, Italian Trotter. Trellenborg - Aria - Product (horse races): Sella Italiano, Italian Trotter. Clemount-Ferrand - Nos Pâturages Product (horse race): Le Havre - Nos Pâturages Product (horse race): Sella Italiano, Italian Trotter. Bourges - Nos Pâturages Product (horse race): Sella Italiano, Italian Trotter. i) Rome - Fattoria Felice Product (horse race): Cavallo Agricolo Italiano (TPR), Italian trotter. Destinations: - Italy - Napoli - Fattoria Felice Product (horse race): Cavallo Agricolo Italiano (TPR), Sella Italiano, Italian Trotter. - Europe - Aalborg - Aria - Product (horse races): Italian trotter, Sella Italiano. Esbjerg - Aria Products (races horses): Italian trotter, Sella Italiano. Jönköping - Aria - Product (horse race): Italian trotter, Sella Italiano. Trellenborg - Aria - Product (horse races): Italian trotter, Sella Italiano. Clemount-Ferrand - Nos Pâturages Product (horse race): Italian trotter, Sella Italiano. Le Havre - Nos Pâturages Product (horse race): Italian trotter, Sella Italiano. Bourges - Nos Pâturages Product (horse race): Italian trotter, Sella Italiano. 2. Cargo Trailer. Product: General cargo, bricks, Source: Cargo tanks, cement plants Destination: cargo depots, cement plants 3. Tourism Trailer. Product: Trailer Caravan. Origin: cargo logistics company, garages of players. Destination: cargo logistics company, player garages Rest: The player must make the landing with the car during the trip with the load (tourism trailer) in the following places: Camping, rest areas, road, rest area at fuel stations, areas of origin education, before reaching the destination. Important: Only in areas exclusively for cars. 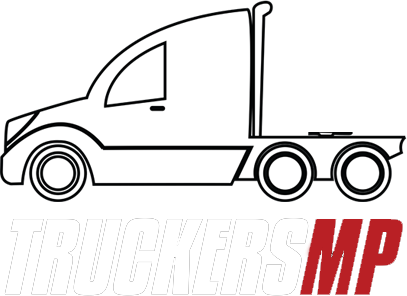 Reward: Earn experience and points while delivering cargo on Truckers MP. 4. Machine Trailer. Product: Bob Cat S130. Bob Cat S130 Operating Capacity: 590 kg Operational capacity with optional counterweight: 659 kg Tipping load: 1,195 kg Weight: 2.375 kg Width (with hopper): 1,575 mm Height: 1.96m Travel speed: 11.8 km / h Production year model/type2004-2006 Engine:Kubota Cil/Turbo/intercooler: 4 Engine model: V2203-MDI-E2B-BC3 Capacity in Kw/pk/Rpm:34,3/50/2800 Maximum torque: Nm/rpm:150/1700 Displacement (cm³)2196 Fuel: Diesel Transmision:Hydrostatic, 4-wheel drive Hydrauliek system: Capacity hydraulic tank (liter)x Capacity hydraulic system (liter)x Pump flow capacity: (ltr/min) 64 Maximum working pressure: (bar)190 Dimensions with bucket: Operating weight with st. bucket: (kg)2465 Overal lenght with st. bucket (mm)3152 Width over tires (mm)1490 Machine width with st. bucket (mm)1575 Height to top of cab (mm)1964 Tires:10x16,5-8 ply Wheelbase lenght: (mm)900 Turning radius from center: (mm)1745 Bucket capacity struck (M³)x Bucket capacity heaped (M³)0,35 Fuel tank (liter)50,3 Performances: Bucket pin height at maximum lift: (mm)2781 Normal loading capacity (± kg)590 Static Tipping load (± kg)1195 Travel speed low/high (km/h)11,8 Origin: Logistic companies. Destination: Construct companies, companies Mining/ Quarrying , Company woods, Farms. - Russia - Origin: Pskov Product: Bob Cat. S 130 Destination: Domdepo (Luga) Baltomorsk (Luga, Pskov) Zelenye Polja (Kaliningrad) Cemeltex ( Kaliningrad) Origin: Sosnovy Bor Product: Bob Cat. S 130 Destination: Domdepo (Vyborg) Zelenye Polja (Saint Petersburg). Baltomorsk ( Vyborg, Saint Petesburg) - Finland - Origin: Tampere Product: Bob Cat. S 130 Destination: Vanha Kivi (Turku) Lindakäinen (Pori) Origin: Loviisa Product: Bob Cat. S 130 Destination: Vanha Kivi ( (Helsinki, Kotka) Ateria AS (Helsinki Lahti). Maatila Egres (Helsinki, Kouvola) Lindakäinen (Kotka, Kouvola) - Estonia - Origin: ? Product: Bob Cat. S 130 Destination: Ateria AS ( Tallinn). Cemeltex (Paldinski) Lindakäinen (Tallinn) Õnnelik Talu (Narva) Origin: ? Product: Bob Cat. S 130 Destination: Vanka Kivi (Tartu). Õnnelik Talu (Pärnu, Tartu). Lindakäinen (Tartu). - Latvia - Origin: ? Product: Bob Cat. S 130 Destination: Domdepo (Valmiera) Cemeltex (Valmiera) Evikši ZS (Daugavpils, Valmiera) Baltomorsk (Daugavpils, Valmiera,Rēzekne) Origin: ? Product: Bob Cat. S 130 Destination: Cemeltex (Liepāja) Evikši ZS ( Liepāja, Ventspils, Riga) Baltomorsk (Ventspils) Vanka Kivi (Riga) - Lithuania - Origin: ? Product: Bob Cat. S130 Destination: Agrominta UAB (Utena) Vanka Kivi (Utena) Domdepo (Utena) Cemeltex (Panevėžys) Origin: ? Product: Bob Cat. S130 Destination: Cemeltex (Kaunas, Klaipeda) Baltomork ( Kaunas, Klaipėda) - Italy - Origin: Bologna Product: Bob Cat. S130 Destination: CDE SRL (Gênova). Euro Acres (Torino, Verona). Origin: Terni Product: Bob Cat. S130 Destination: Quadrelli SpA (Pescara). Marmo SpA (Firenze, Livorno/Carrara) CDE SRL ( Firenze). Fattoria Felice (Rome) FUISpA (Firenze, Rome). SALSRL (Livorno, Pescara, Terni) Origin: Taranto Product: Bob Cat. S130 Destination: Quadrelli SpA (Bari, Catania). Marmo SpA (Palermo). CDE SRL (Catanzaro). Fattoria Felice (Napoli). FUISpA ( Catania, Catanzaro). BENELUX (Belgium, Luxembourg, Nertherland) Origin: Amsterdam Product: Bob Cat. S130. Destination: Sanbuilders (Luxembourg) Sanbuilders (Rotterdam) Euro Acres (Groningen) Euro Acres (Brussel) TREE-ET ( Liège) - Germany - Origin: Leipzig Product: Bob Cat. S130 Destination: Sanbuilders (Berlin) Euro Acres (Berlin, Dresden) TREE-ET ( Leipzig) Origin: Rostock Product: Bob Cat. S 130. Destination: Stein Bruch (Hannover) Sanbuilders (Hamburg) Euro Acres (Bremen) TREE-ET (Hannover) Origin: Bonn Product: Bob Cat. S 130. Destination: Stein Bruch (Dortmund) TREE-ET ( Dortmund, Frankfurt am Main) Euro Acres (Osnabrück) Origin: Munich Product: Bob Cat. S 130. Destination: Stein Bruch (Stuttgart) Sanbuilders (Nürnberg) Euro Acres (Nürnberg) TREE-ET ( Stuttgart) Origin: Kassell Product: Bob Cat. S 130. Destination: Sanbuilders (Erfurt) Euro Acres (Erfurt, Magdeburg) - Swiss - Origin: Bern Product: Bob Cat. S130 Destination: Euro Acres (Bern) TREE-ET (Genève, Zürich) - Hungary - Origin: Budapest Product: Bob Cat. S 130 Destination: Sanbuilders (Debrecen) Euro Acres ( Debrecen, Pécs Szeged) - Poland - Origin: Warszawa Product: Bob Cat. S 130 Destination: Sanbuilders (Gdańsk) Euro Acres (Białystok, Gdańsk) TREE-ET ( Białystok, Olsztyn) Origin: Lódz Product: Bob Cat. S 130 Destination: Stein Bruch (Katowice, Wrocław) Sanbuilders ( Kraków) Euro Acres (Kraków, Wrocław) TREE-ET ( Katowice, Poznan) - United Kingdon (U.K) - Origin: Edinburgh Product: Bob Cat. S 130 Destination: Stein Bruck (Glasgow) Sanbuilders ( Edinburgh) TREE-ET (Aberdeen) Sanbuilders (Newcastle) Euro Acres ( Carlisle) Origin: Birmingham Product: Bob Cat. S 130 Destination: Stein Bruck (Cardiff, Sheffield) Euro Acres ( Swasea, Liverpool) Sanbuilders (Birmingham) TREE-ET (Manchester) Origin: London Product: Bob Cat. S 130 Destination: Sanbuilders (London). Euro Acres (Cambridge, Dover, Plymouth), TREE-ET ( Felixstowe,, Southampton). - Austria - Origin: Innsbruch Destination: Stein Bruch (Salzburg) Sanbuilders (Salzburg) Euro Acres (Salzburg, Wien) TREE-ET (Graz, Innsbruck) * CZECHOSLOVAKIA* - Czech - Origin: Praha (city: Dobris) Product: Bob Cat. S 130. Destination: Stein Bruck (Praha) Sanbuilders (Brno) Euro Acres ( Brno) - Slovakia - Destination: TREE-ET (Bratislava, Banská Bystrica) - France - Origin: Nantes (city: Pontchâteau) Product: Bob Cat. S130 Destination: Bâtisse (Rennes) Dans le Jardin (Nantes, Bordeaux) MVM Carrière (Bordeaux, Le Mans) Origin: Paris (Poissy) Companie logistic: Lissette logistic Product: Bob Cat. S130 Destination: Bâtisse (Paris) Boisserie Jean-Pierre (Le Mans) Dans le Jardin (Le Mans) MVM Carrière (Le Mans) Stein Bruck (Reims) Nos Pâturages (Le Havre) Origin: Dijon Destination: Stein Bruck (Lyon, Strasbourg). Sanbuilders (Lyon). Euro Acres (Dijon, Reims) TREE-ET ( Metz) Origin: Clermont-Ferrand Product: Bob Cat. S130 Destination: MVM Carrière ( Limoges) Bâtisse (Clermont-Ferrand) Nos Pâturages (Bourges, Clermont-Ferrand). Dans le Jardin ( Bourges) Boisserie Jean-Pierre (Limoges) Origin: Marseille Product: Bob Cat. S130 Destination: MVM Carrière (Montpellier, Nice). Bâtisse (Clermont-Ferrand, Montpellier). Dans le Jardin ( Marselhe, Montpellier) Boisserie Jean-Pierre (Marseille) - Sweden - Origin: Västerås Product: Bob Cat. S130 Destination: Nordic Stenbrott (Jönköping, Linköping) Konstnorr (Stockholm, Linköping, Västerås) Ária (Jönköping) Sag & Tre (Linköpin) Origin: Växjö Product: Bob Cat. S130 Destination: Nordic Stenbrott ( Kalmar, Växjö) Konstnorr ( Malmö, Helsingborg,) Ária (Gotemburg, Kalmar, Trelleborg), Agronord (Gotemburg, Kalmar) Bjork (Växjö) Sag & Tre (Gotemburg) - Norway - Origin: Bergen Product: Bob Cat. S130 Destination: Sag & Tre (Oslo) Konstnorr (Oslo) Ária (Kristiansand) Agronord (Kristiansand) MS Stein (Kristiansand, Oslo, Stavanger) Bjork (Kristiansand) - Denmark - Origin: Odense Product: Bob Cat. S 130 Konstnorr (København) Agronord (Esbjerg) Ária (Aalborg, Esbjerg) 5. Towing Container (a) Product: Container products. Origin: Logistics company, construction sites, logging company, port container Destination: logistics company, construction site, logging company, port container b) Forest work equipment: Products: Shafts, chainsaws, saws, PPE (Personal Protective Equipment - EPI), Greasses. Origin: logistics company, construction site, logging company, port conteiner Destination: logging company c) Construction work equipment: Products: Hand tools, electric machines (drill, screwdriver, cutting saws, sander, crusher), hammers (demolition hammers, hammer hammers, drill hammers, jackhammer, rivet gun), PPE (Personal Protective Equipment - PPE), special transport (electric generator, air compressor, water pump, mountable scaffolding). Origin: Logistics company, construction company, port container. Destination: construction of the company (construction of sites) 6. Marketing Trailer. Exterior painting is the creativity of the developers, should visually highlight the brand of the truck and the brand's logo. Figure of the brand trucks are acceptable. Product: Truck company trailer Origin: Host cities of each truck brand. Destination: The concessionaires for the sale of trucks of the respective brand in the cities of Europe. Headquarters Volvo - Malmo. Headquarters Scania - Södertälje Headquarters Iveco - Turin. Headquarters DAF - Amsterda* (Eindhoven) * Temporary Headquarters until it is possible to have the city on the map. Headquarters MAN - Munich Headquarters Mercedes Benz - Sttutgart 7. Trailer of cement mixer. Capacity load: 1 m³ Model: Titan 125 F Product: cement mixer trailer, cement fraction (capacity trailer) Origin: Cement, Construction Company Destination: Construction. 8. Tipping Trailer Capacity load: 2 m³ Product: sand, gravel, just sprinkled. Origin: construction, mining and other places of origin of these products. Destination: Construtora, Cement Company, farms, mining companies. 9. Bathroom Trailer Product: bathroom trailer Origin: logistics company. Destination: construction companies, mining companies, timber companies, logistics company 10. U-Haul Trailer (Self-transport) Product: Cars Origin: Vehicle Manufacturing Destination: Retail vehicle. Any sample image: Yes. Images taken from the internet for each type of trailer. Container of inclusive news types: 1. Horse Trailer . 2. Cargo Trailer. 3. Tourism Trailer. 4. Machinery Trailer. Load Machinery Trailer: Skid Steer - Bob Cat Model: S130 Load Machinery Trailer. Technical details of the machines (loads of the machine trailer): Skid Steer - Bob Cats: Model: S130 Skid Steer s130. Perpectives: Skid Steer s130. Front of machine: Skid Steer s130. Cabin: Skid Steer s130. Seat: Skid Steer s130. Lever: Skid Steer s130. Joystic controls: Skid Steer s130. Panel controlls: Panel controlls. Model 01. Panel controlls. Model 02. Skid Steer s130. Rear of machine: Skid Steer s130. Engine: Skid Steer s130. Acessories Cabin: Air conditioning Hy-Gloo. Skid Steer s130. Lights: Skid Steer s130. Mirrors Skidsteer: Video: Skid Steer s130. Attachments: Mulch: Fork Pallets Utility Fork Bucket Root Grapple: Video: Bucket Grapple Mini Digger JCB Model: 8018 Perspectives: Mini Digger JCB 8018 Cabin: Mini Digger JCB 8018 Panel Controls: Mini Digger JCB 8018 Seat and Joys-tick coomands: Mini Digger JCB 8018 Pedals: Mini Digger JCB 8018 Front outer: Mini Digger JCB 8018 Engine: Mini Digger JCB 8018 Attachments: buckets for excavations. ditch maintenance buckets , Buckets - General Purpose, mini bucket Specifications: 8018 Gross weight: 1,680 kg, MotorJCB 1131 cm³, net power of 14.2 kW, engine output: 14.5 kW (20 hp) Work accessories: - scoop scoops: 300mm, 400mm, 900mm - quick-digging bucket - Hammer / shear. 8018 - Machinery Trailer. 5. Container Trailer Conteiner Havy cargo - Container Trailer. V Light Cargo - Container Trailer. Specifications http://containergarca.com.br/carreta/ Length: 3 meters. Container Trailer transport: Vídeo: Types containeres: 1. Warehouse ContainerStorage capacity: 50 bags of cement, 70 bags of lime, 3 handcarts, scaffolding. Reference: http://containergarca.com.br/container-almoxarifado-2/ Dry Box 2,5 - (2,5 m length x 1,5 m width x 2,0 m height) Dry Box 3,0 - (3,0 m length x 1,5 m width x 2,0 m height) Dry Box 3,0 ( Depth: 3 meters,Width: 2 meters, Height: 2 meters) Dry Box 6,0 ( Depth: 6 meters, Width: 2 meters, Height: 2.4 meters) Dry Box 6,0 ( length: 6.05 meters, width :2.43 meters, height :2.59 meters, Doors opening: 5.80 meters 2.20 meters, 2.30 meters) Dry box: do not informations. bathroom contêiner Specifications: (Length: 1,890 mm, Width: 935mm, Total height: 2400mm, Door opening: 860mm) (Length: 1130mm, Width: 935mm, Overall height: 2400mm, Door opening: 860mm) 2. Office container Officer container (Depth: 2 meters, Length: 3 meters, Height: 2.5 meters, Door: 2.1 meters high x 0.8 meters wide) 6. Marketing Trailer 7. Cement Mixter Trailer. Video: Others models: Cement Mixter Trailer. http://www.mixersandplants.com/gooseneck.htm 8. Tilting Trailer Video: 9. Bathroom Trailer Bathroom Trailer (Length: 2750 mm, Width: 1870 mm, Height: 2820 mm) 10. U - Haul (Auto -transport) Trailer Specifications: Brian James Model 310-3300 Sprint Shuttle luxury car capacity: 01 car Load bed length: 4.30m (14ft) Load bed width: 1.89m (6ft 3) Gross cap. (kg): 2,600 Load cap. (Kg): kg 1,810 Loading operation: Ramp/Tiltbed Overall length: 5.79m (18ft 2) Overall width: 2.30m (7ft 6) Overall height 2.30m (7ft 6) Internal height: 1.71m (5ft 7) Link: http://www.brianjames.co.uk/pdf/2019Q1_SHUT_UK_V1_1.pdf Model: CT177 Tires: 155 / 70R12C Gross Weight: 3500kg Weight without load: 805kg Internal Length: 5,00m Internal Width: 1.91m Overall Length: 6.70m Overall width: 2.30 m Why should it be added? Because the current loads of Caravan, are monotonous with just the trailer itself. The idea includes delivering new types of towing and their unique and new loads and requires minimal intervention on the original map (only camping areas). It would be a great acquisition for the Truckers MP map. Construction of the new trailers would take place under the chassis of the caravan of the trailer.